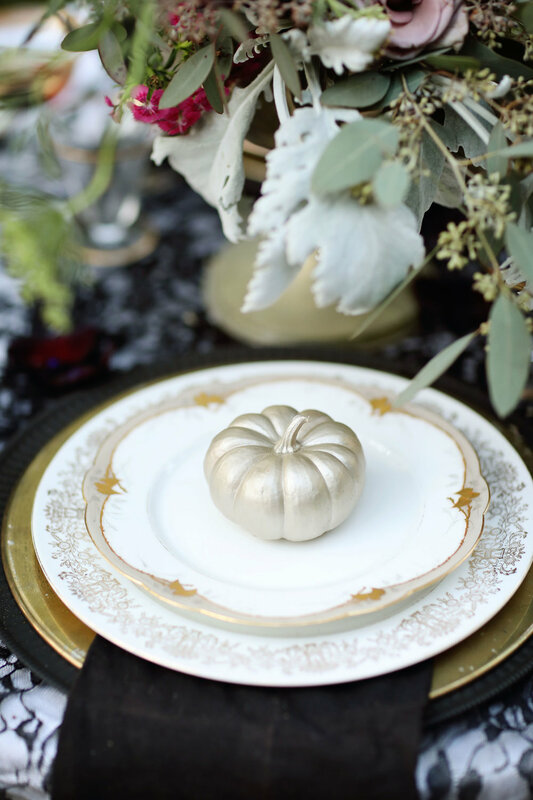 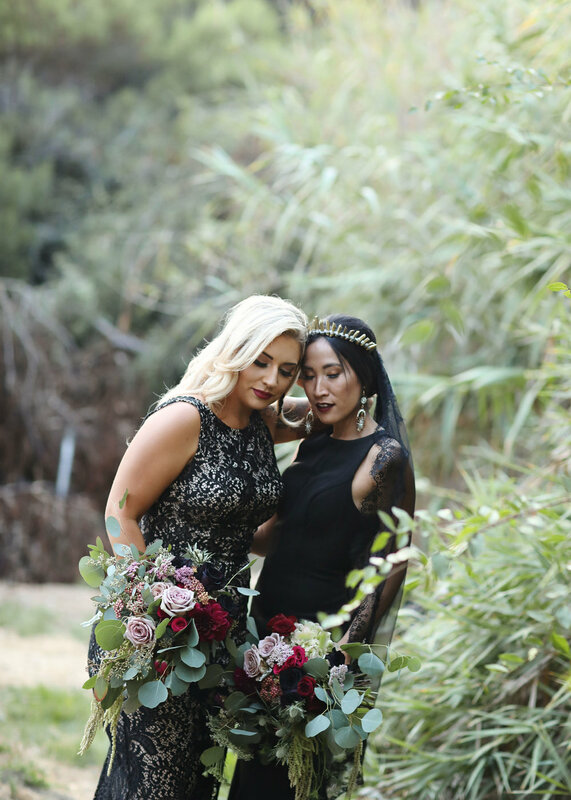 Around this time last year, I was really inspired to put together a shoot involving a black wedding dress and incorporating autumn elements. 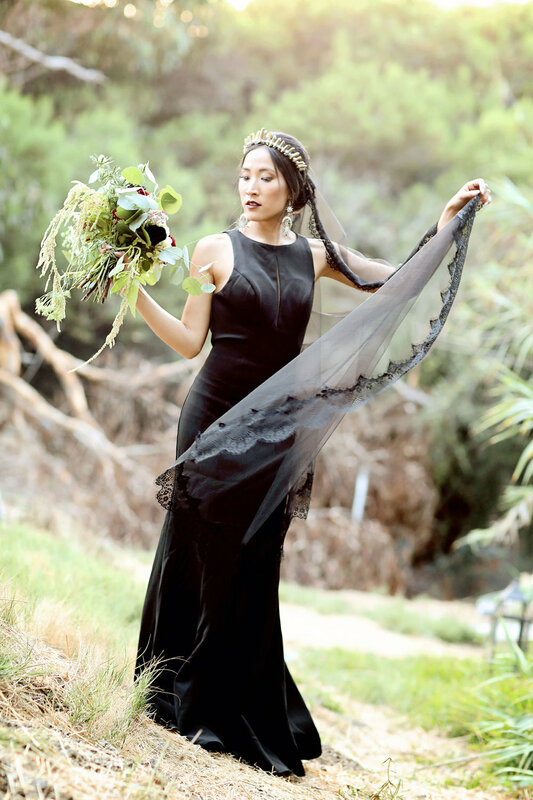 But, it needed to be done right to not look like a vampire or corpse bride, or ghoulish (unless that’s totally your thing, where you’re going for a literal spooky vibe- then power to you, I just don’t think I could pull it off), so for wardrobe styling, I gathered inspiration from the Dolce & Gabbana A/W 13 runway designs - very elegant, opulent and regal. 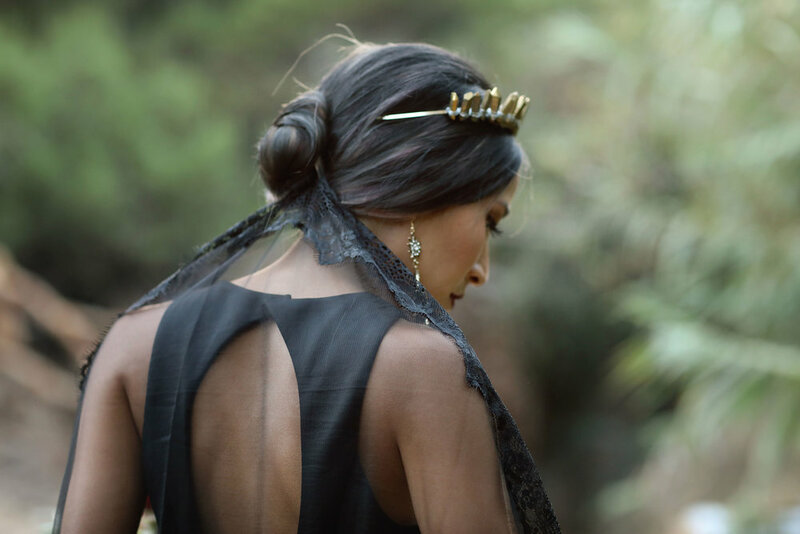 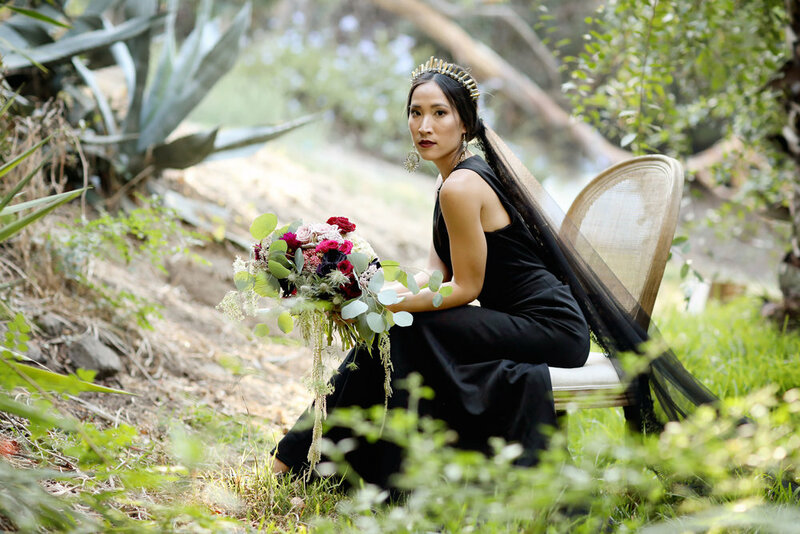 My style spin for the bride look included a gold quartz crown, black lace trimmed veil enhancing a chic pulled back low chignon, revealing sparkling chandelier statement earrings and a glam beauty look with dark lips. 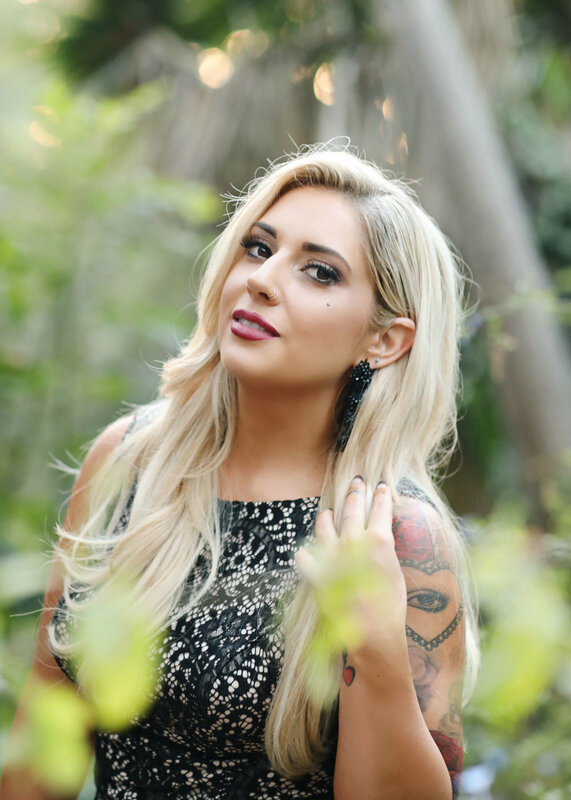 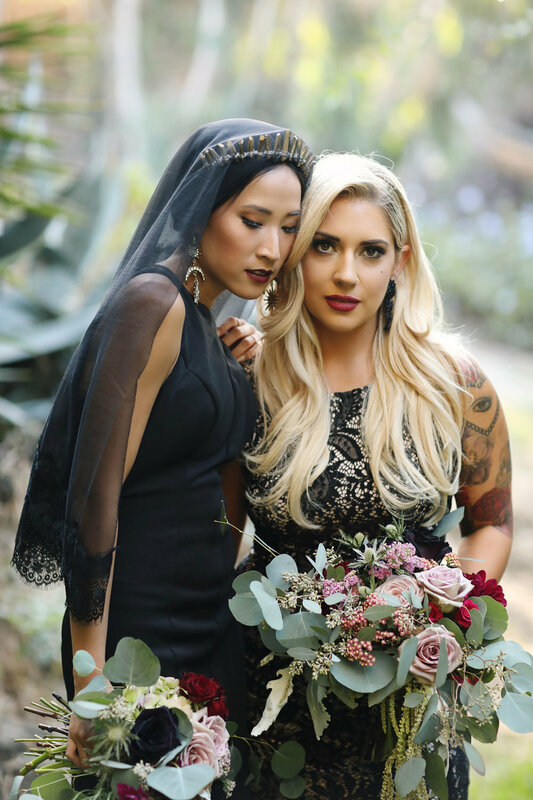 The maid of honor model Casie was bold all on her own with a fitted lace gown featuring a thigh high slit, glamorous soft wavy hair framing cascading black jeweled earrings and finished with defined eyes and berry lips. 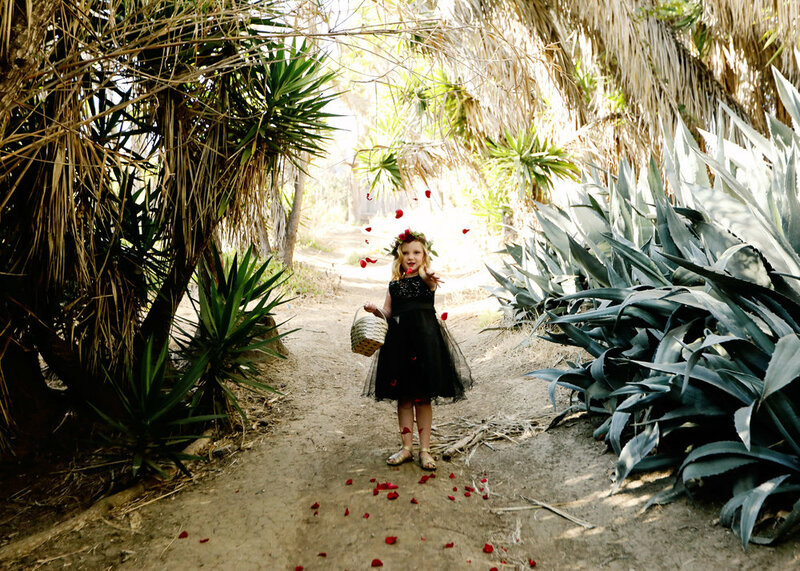 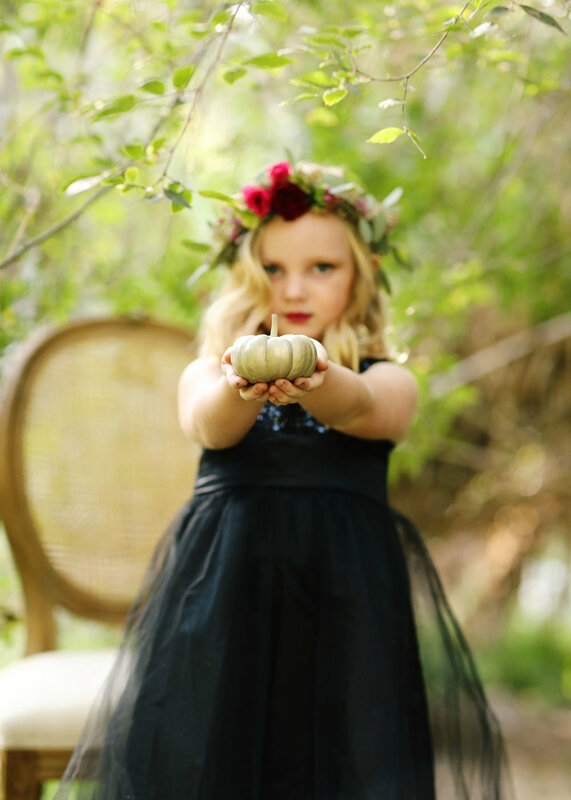 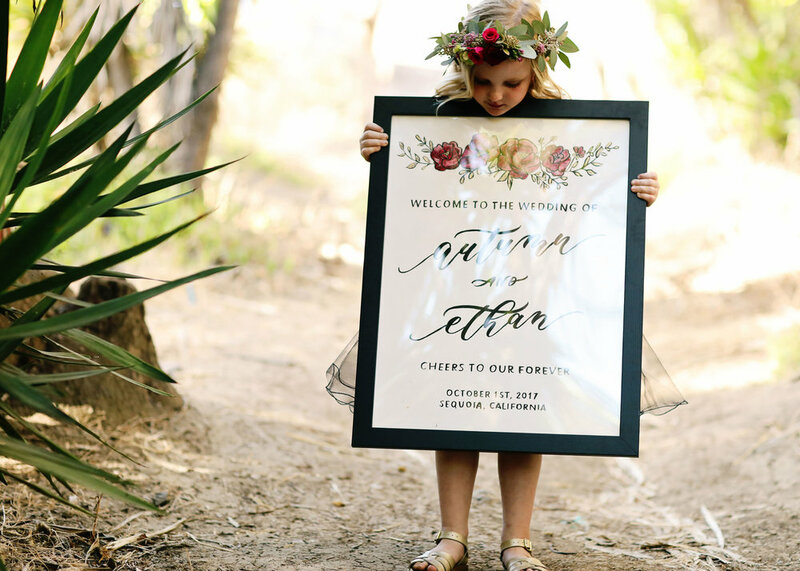 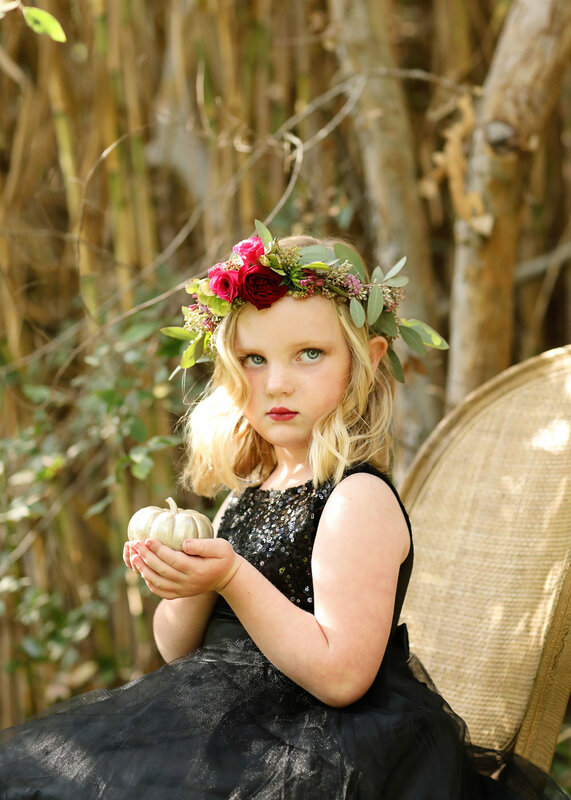 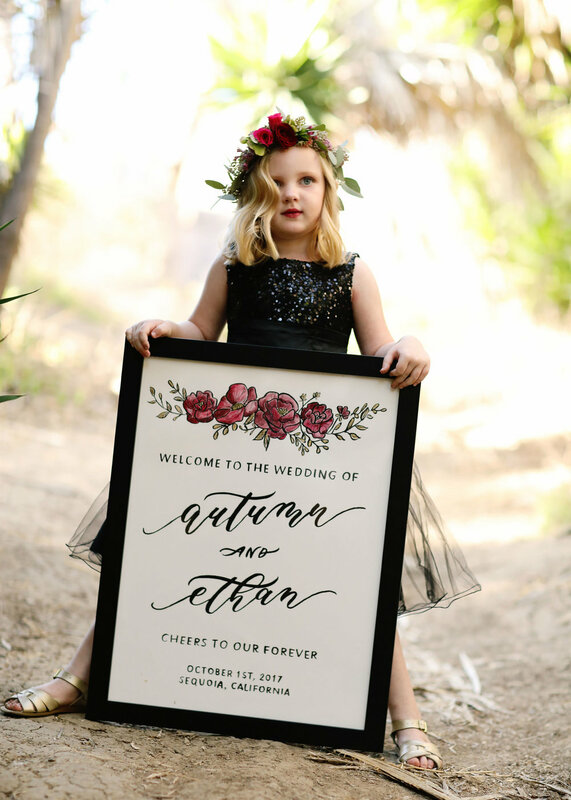 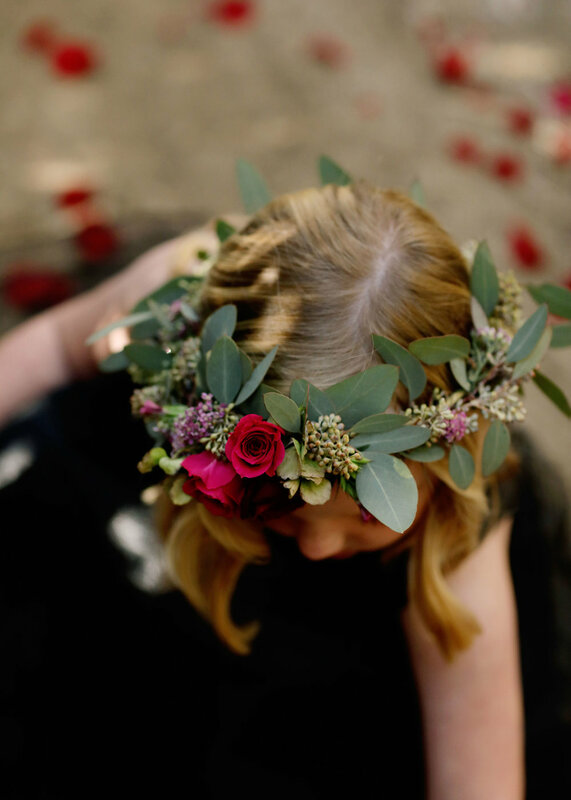 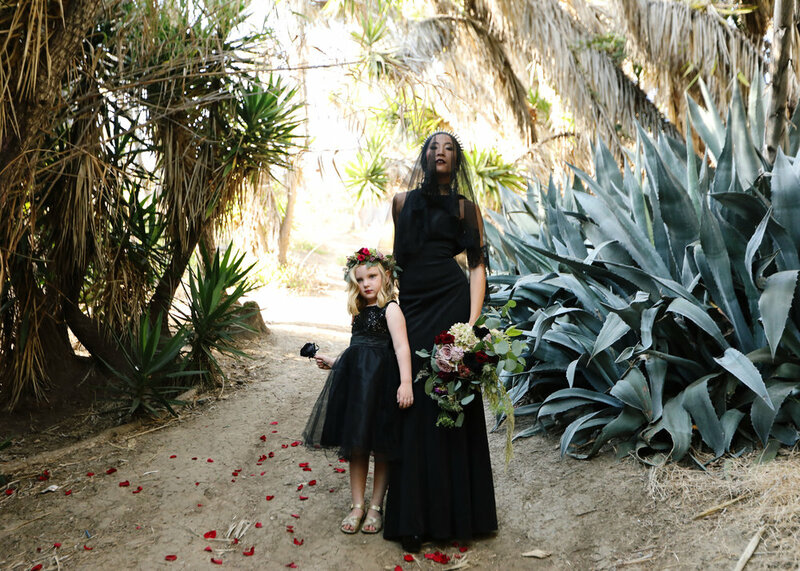 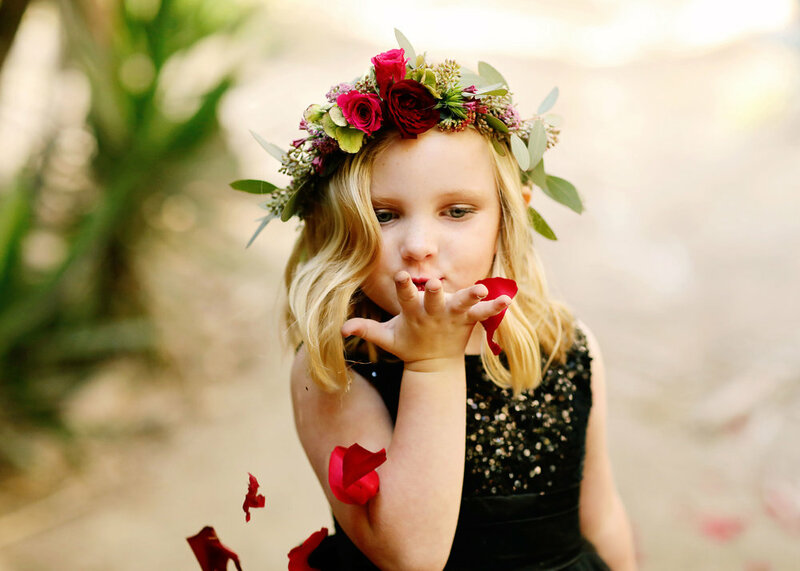 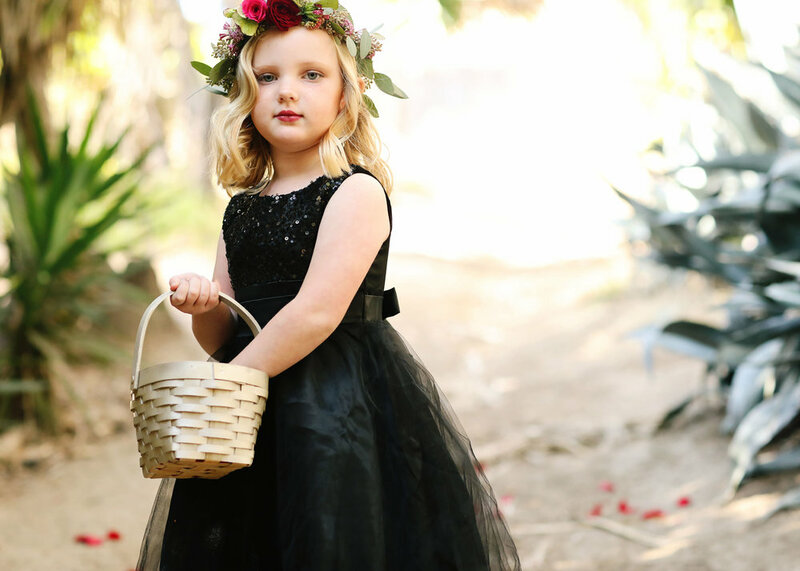 Our little flower girl model Ava wore her own black sequin and tulle dress complete with a fresh floral crown. 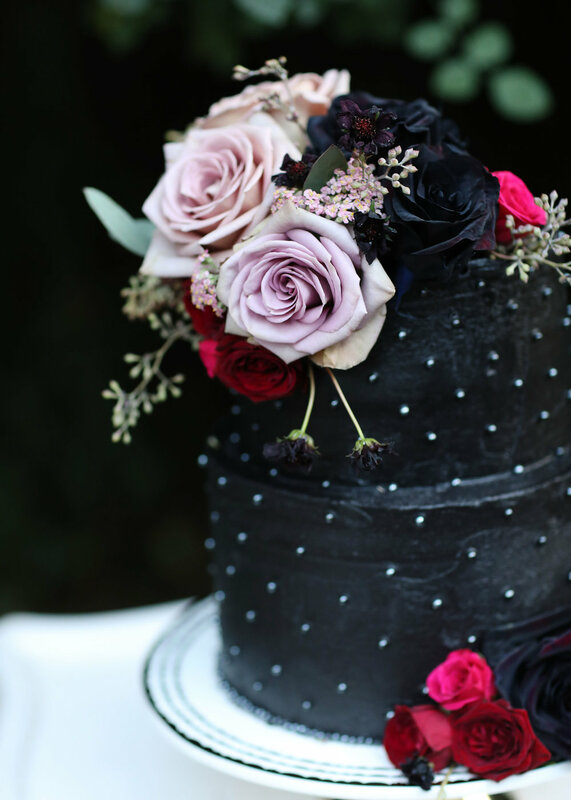 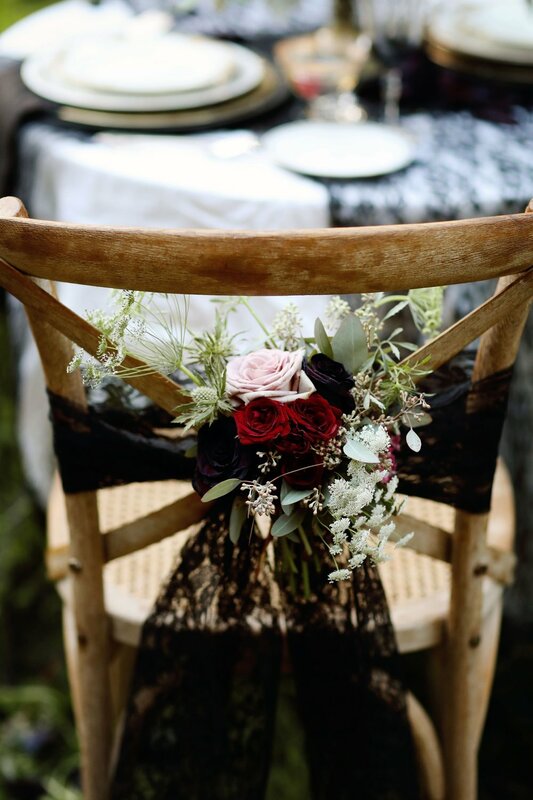 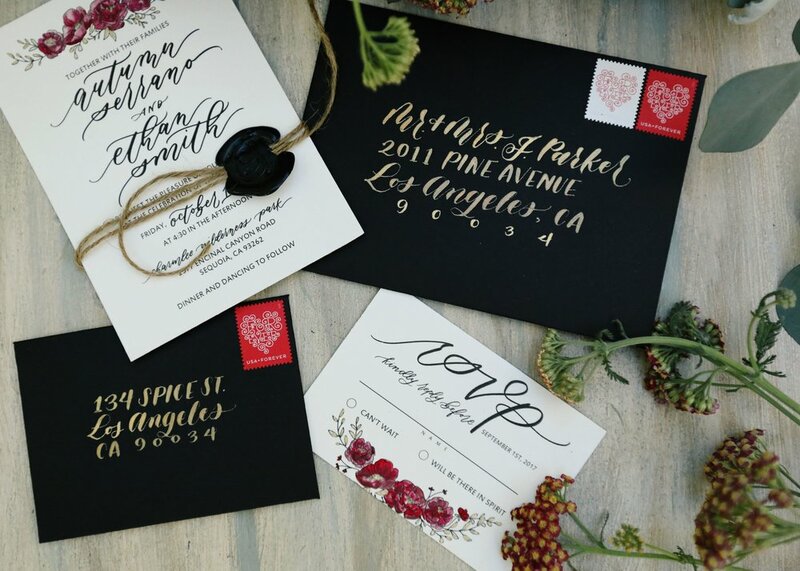 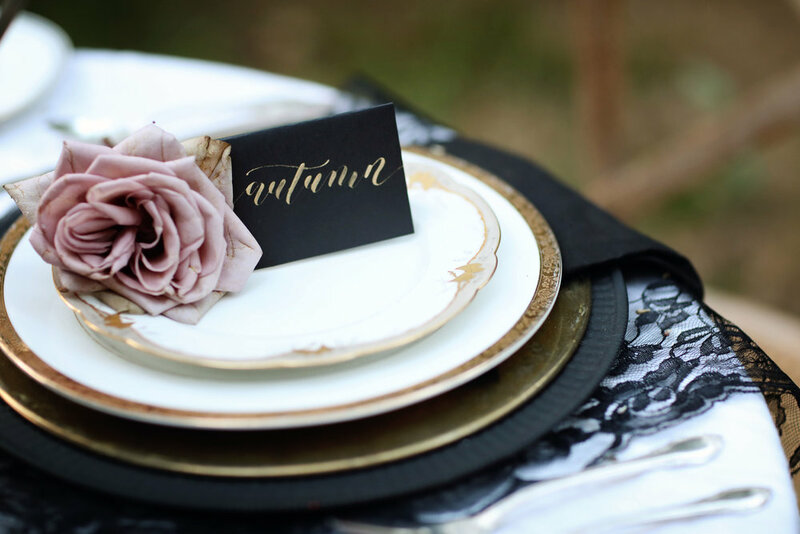 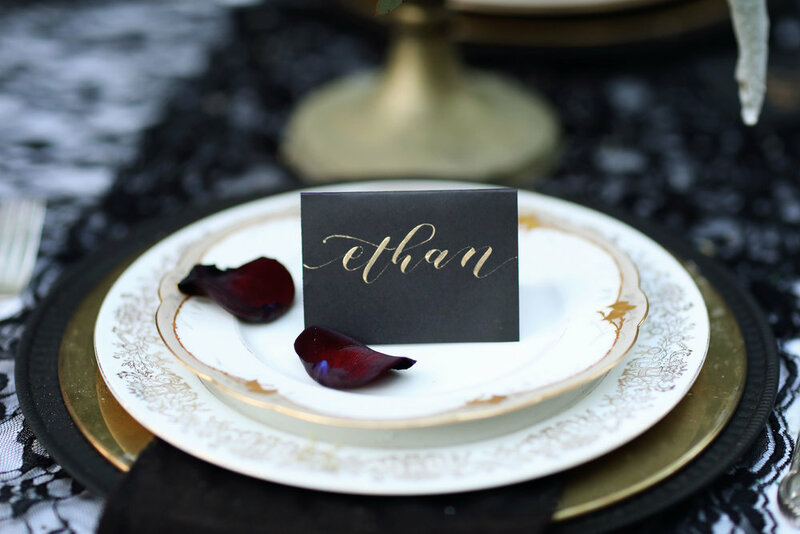 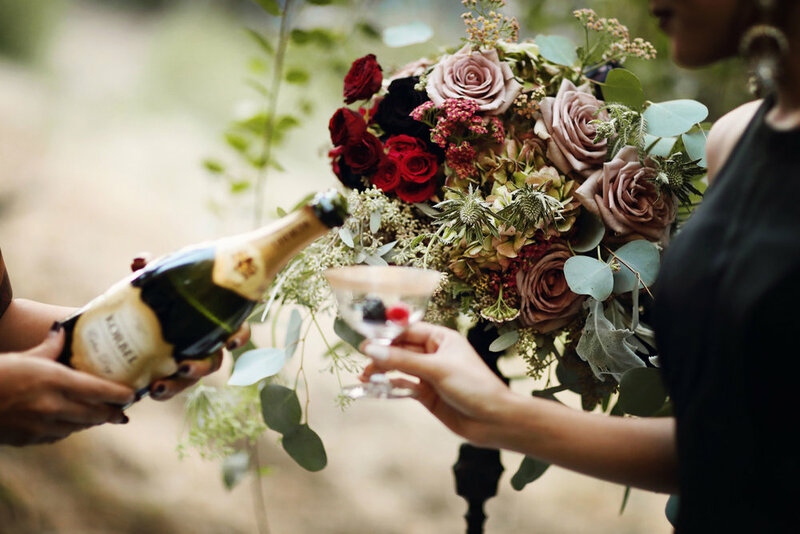 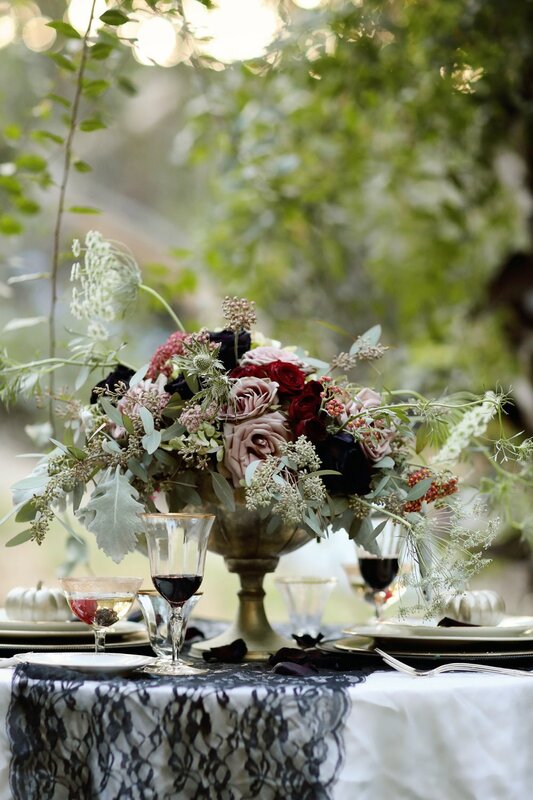 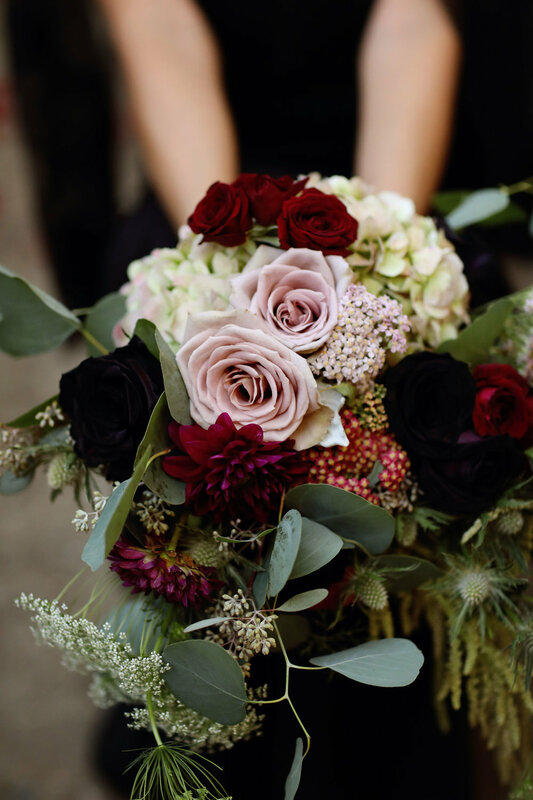 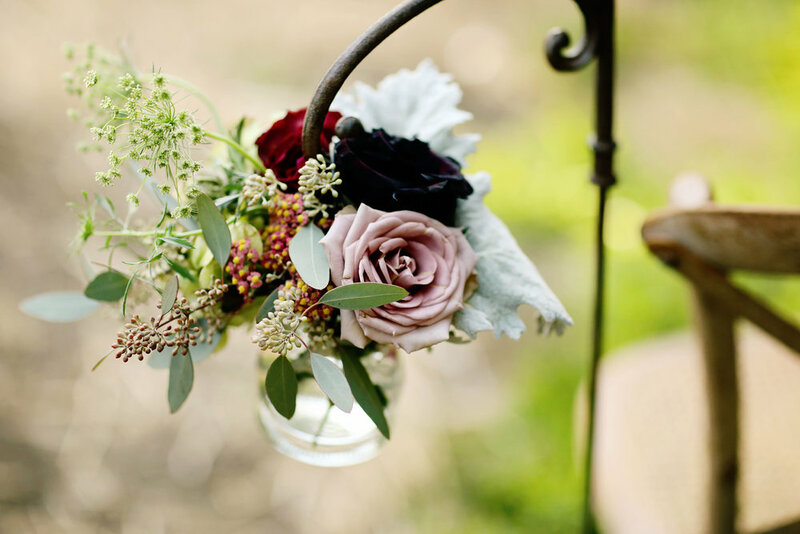 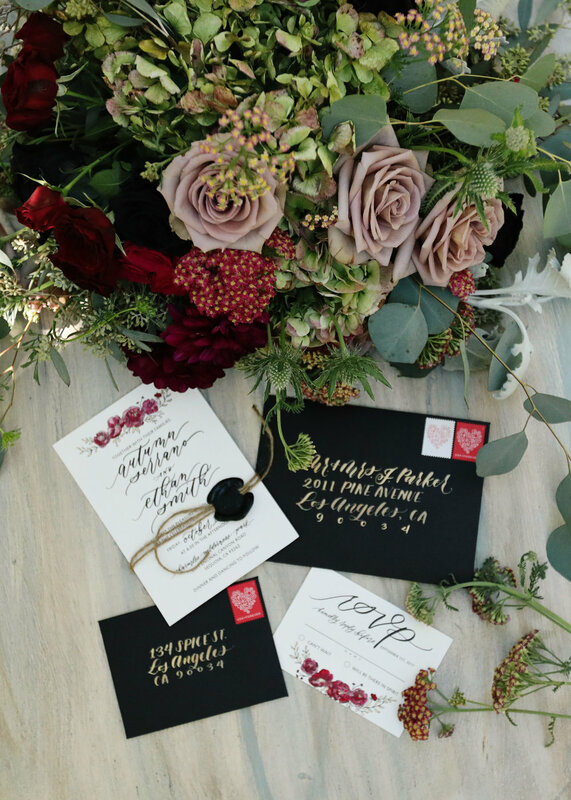 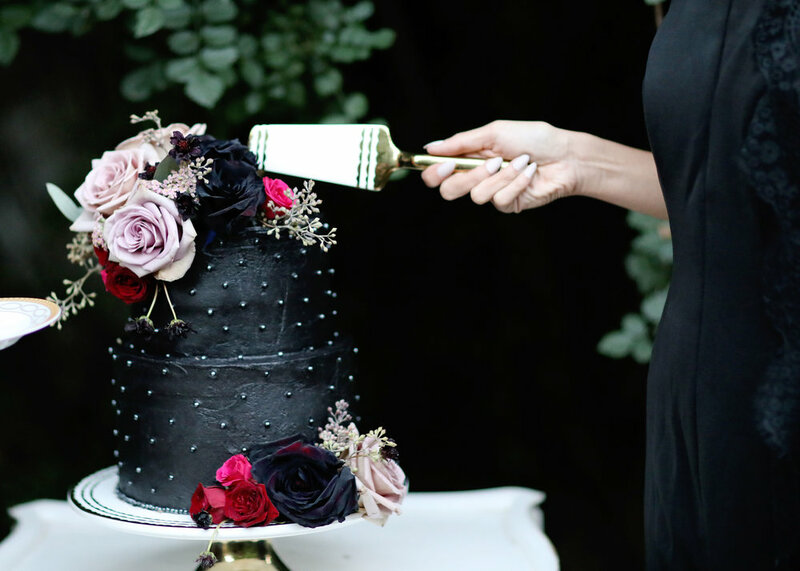 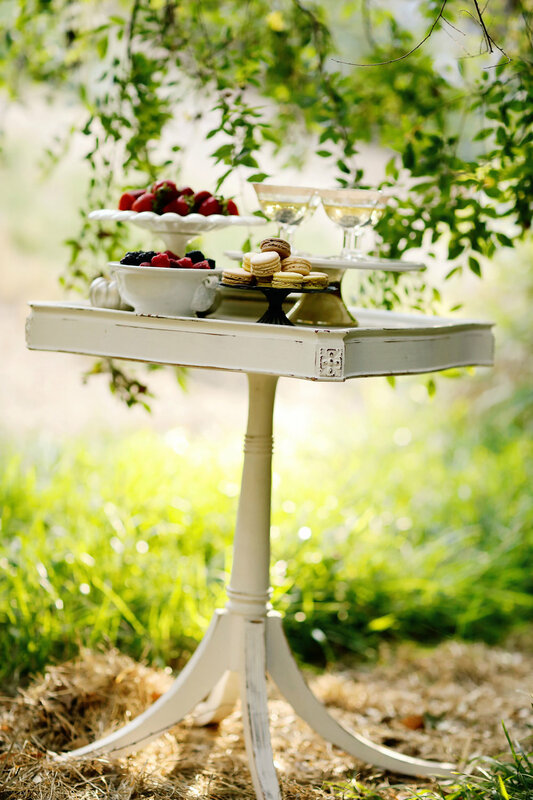 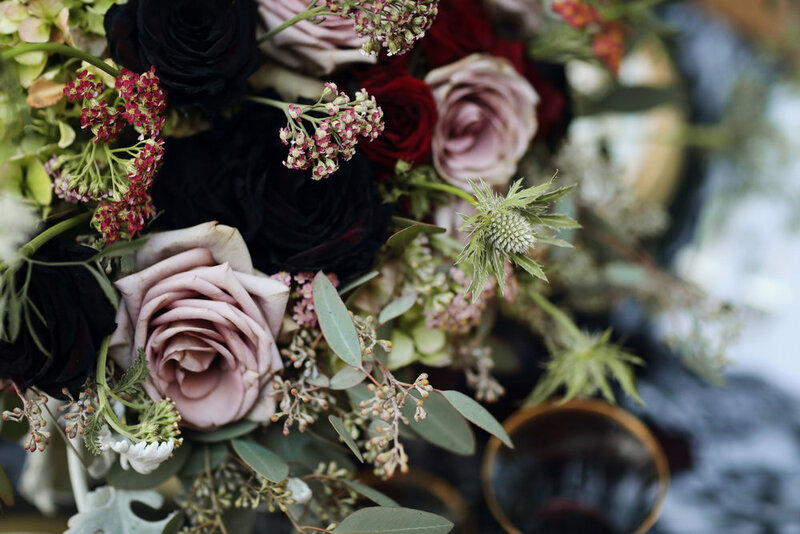 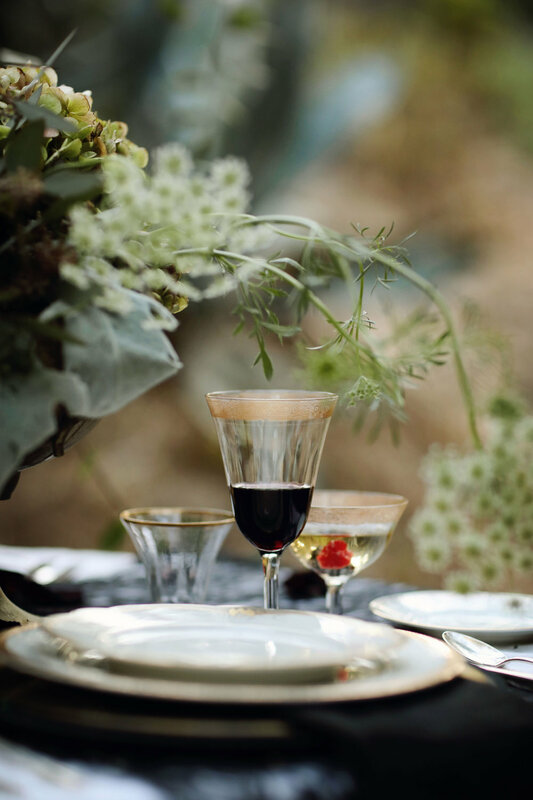 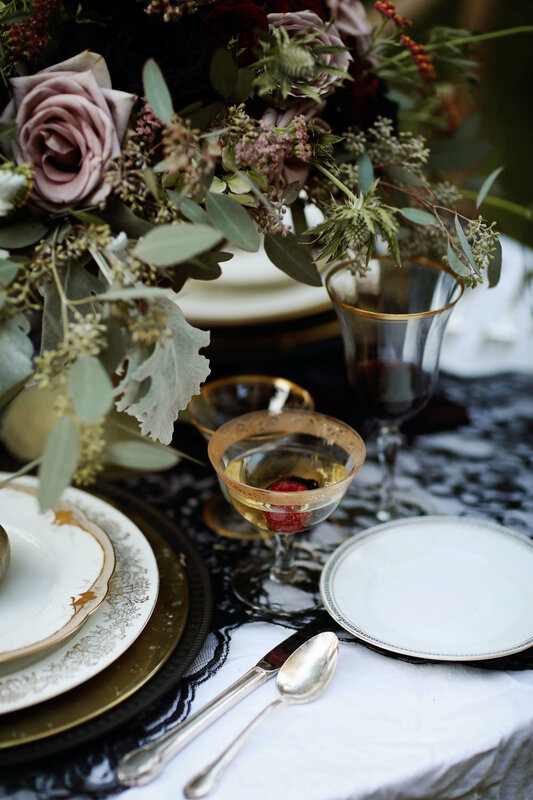 The overall arrangement of the decor and tablescapes included a moody collection of deep burgundy, magenta and muted pink tones, as well as gold accents and dark lace textures. 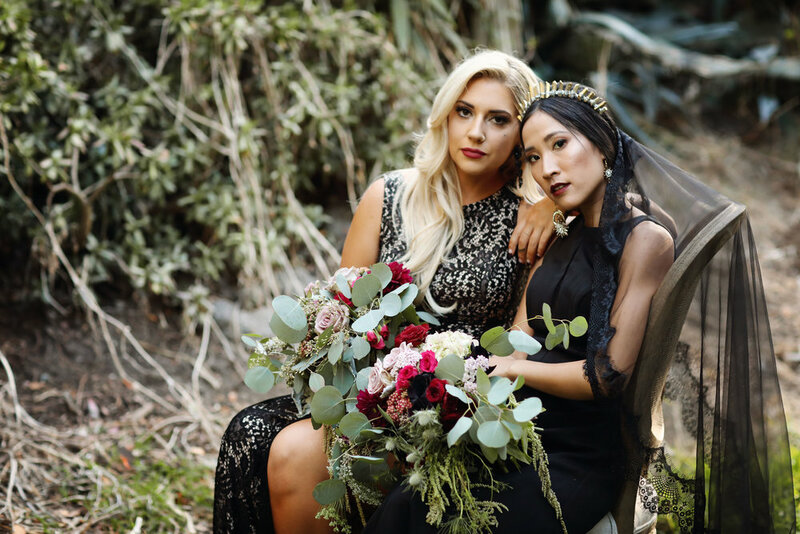 Scroll through to see this shoot in all its glory and check out this AMAZING video (which also is on my homepage). 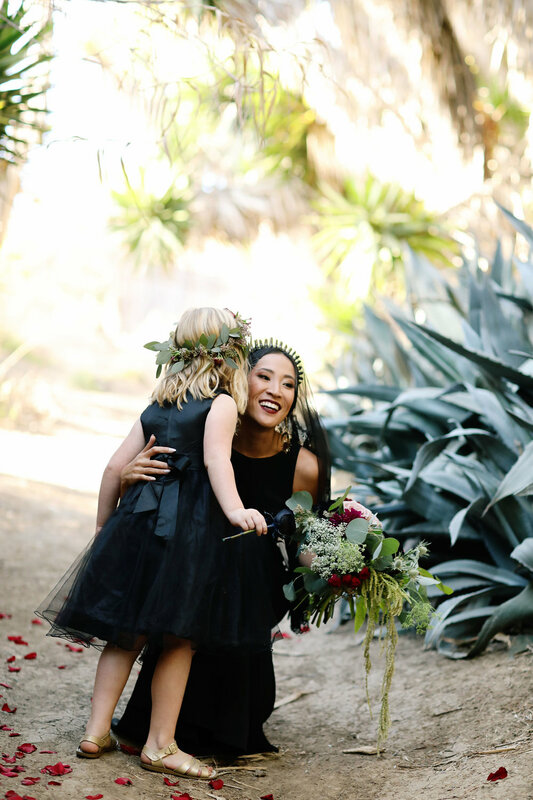 Thank you to the amazing team that helped put this all together!